Miss Vanjie is definitely back in the first 15 minutes of the first episode! Christmas came early … and by Christmas, I mean February 28. It’s been less than two weeks since we left All Stars 4 behind, but RuPaul’s Drag Race season 11 is already here. 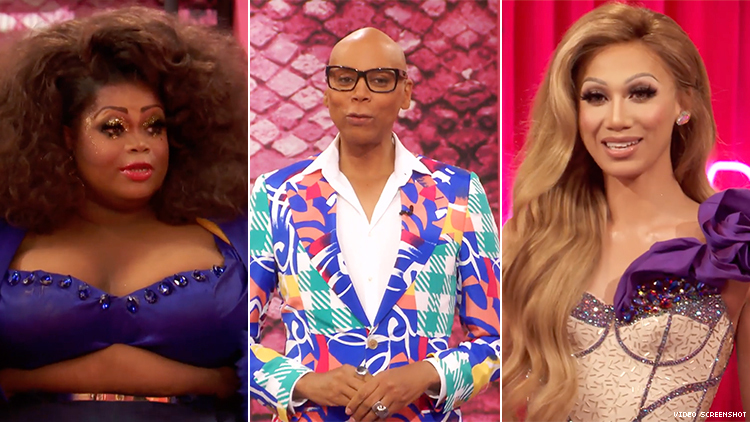 With only three days left until the season premiere, Drag Race shared the first 15 minutes of the season, which includes the queen’s entrance looks, with the world. The clip begins with season 10 returning queen Vanessa “Vanjie” Mateo entering the workroom first and hiding from the other contestants to surprise them with her presence. The clip is very Vanjie-heavy, in fact, suggesting we may be seeing a lot of her commentary on the action this season. Silky Nutmeg Ganache, who flings a cookie to the rest of the girls and gets the queens to break out into applause, gives one of the most notable entrances. From the moment she walks into the room, she carries a an infectious energy. As the clip points out, several of this season’s queens come from the pageant world, including A’Keria C. Davenport, who is the reigning Miss Black Universe and Brooke Lynn Hytes, who won the Miss Continental competition in 2014 — both notable competitions in their own rights. And Columbus, Ohio, queen Nina West wastes no time letting you know that pop singer Sia once stole a look from her. A few queens already threw shade at one another in the season’s opening moments. New York’s Honey Davenport questions Denver queen Yvie Oddly’s aesthetic, as well as her choice to bring in a toy car as part of her outfit, while Scarlet Envy says Brooke Lynn Hytes’ drag was unoriginal. RuPaul enters the workroom at the clip’s end and suggests that several past queens might play a part in the season’s proceedings. In keeping in tradition with all the seasons that have aired on VH1, the opening show features a big-name guest judge. In season 9, it was Lady Gaga, in season 10 it was Christina Aguilera and this time around it’s Miley Cyrus. Tune into Drag Race’s 11th season on Thursday, February 28 at 8 pm EST on VH1.